Making wooden boxes is one of the best ways to develop overall proficiency in woodworking. In this all-new collection, discover how to design and build ten tiny boxes, including an inlaid sawn box, a box made with hand tools and a finger jointed box with dovetails. Crafting with Mod Podge products is the modern approach to decoupage, making it fast and easy to add personality to home decor, upcycling, kids' crafts, and gifts. Beginner's Guide to Mod Podge explains how to create unique home accessories and crafts. 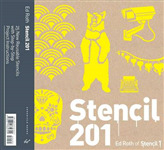 This is a gorgeous DIY decor book with a contemporary aesthetic that simplifies furniture refinishing. 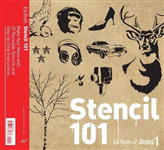 Presents twenty-five stencil designs from retro-cool typewriters, phonographs, and roller skates to elegant leaves, birds, and abstract shapes.